Dental crowns and dental bridges are a popular option for restoring severely damaged teeth or for replacing one or more missing teeth. Dr. Sean Bannan at Water’s Edge Dental provides dental crowns in South Daytona. Keep reading to learn how dental crowns work, what a bridge is, and other important information about this common restoration. Also called a cap, a dental crown is a thin covering that improves the form and function of a damaged tooth. 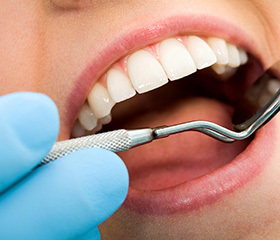 Dental crowns also replace one or more missing teeth as a bridge. They can be made of a variety of materials, including porcelain, porcelain-fused-to-metal, gold, and metal alloys. 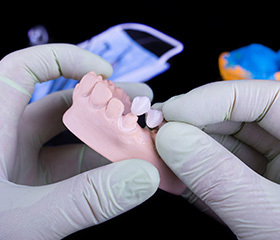 Life-like porcelain is preferred for restorations in the front teeth. Dental crowns can be used to correct the following dental issues. A dental bridge replaces missing teeth. It is made up of three or more dental crowns fused together. A traditional dental bridge is secured in the gum line using the natural teeth that surround the gap as anchors for the prosthetic teeth in between. A dental bridge can also be secured by dental implants, a method that offers improved stability and better oral health. 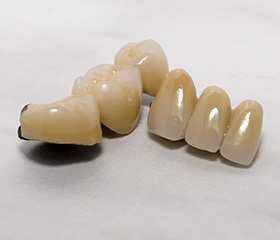 What Is the Process for a Crown or Bridge? The procedure for a dental crown or bridge usually takes two to three visits to Waters Edge. The first is necessary for preparing the tooth or teeth for the crown. Preparation involves reshaping the tooth to make room for the device. The crown is manufactured in period of approximately two weeks between appointments. A temporary crown or bridge is worn until the final one is ready. During the time between appointments for your restoration, avoid breaking your temporary crown or bridge by chewing on the other side of your mouth. You should stay away from hard, crunchy, and sticky foods during this time. Once your tooth has been restored or replaced with the permanent dental bridge or single crown, careful maintenance will ensure its success. Brush and floss your teeth regularly, concentrating on the area around the base of your dental work. Plaque buildup from forgotten food particles causes gum disease and further decay. Visit your dentist for regular preventive care to enjoy healthy teeth and gums and a long life for your dental crown or bridge. 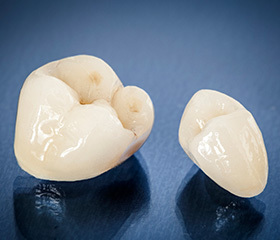 If you are in need of a dental crown, bridge, or any other type of restoration, please don’t put it off for another day. You deserve a healthy, complete smile. 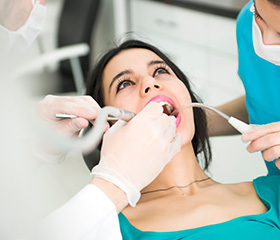 Contact Water’s Edge Dental to schedule an appointment for superb restorative dental care! We warmly welcome patients from South Daytona and all surrounding communities.